Child Safe Sport workshops – coming soon! The Office of Sport is providing free workshops to help club committees, administrators, and volunteers to understand the practical ways to create safer clubs for children and young people. The workshops have been designed in consultation with the Office of the Children’s Guardian and will cover practical ways clubs can be more child safe, recommend policies and procedures, recruitment tips, and details on the Working with Children Check and other useful resources. The workshops will be held across the state from 4 September to 28 November 2018. Play by the Rules (PBTR) continues to be the place to go to get help and resources that support fair, safe and inclusive sport in Australia. During 2017/18, the PBTR website had close to 570,000 hits, with 26 per cent of interest originating from NSW alone. Over 32,000 people completed the PBTR online training courses with 30 per cent of participants within NSW. The most popular courses include the Child Protection Online Course and the Harassment and Discrimination Online Course. The Office of Sport is a proud supporter of PBTR and encourages sports organisations to join the thousands of people in NSW gaining benefits from their programs. To learn more about how your sport or organisation can get involved, contact Shannon Dixon via shannon.dixon@sport.nsw.gov.au. There have been recent legislative changes around the Working With Children Check that impact all people who work with children in both paid and voluntary roles and the organisations employing them. · a Working With Children Check is required for all parent volunteers attending overnight kids camps, with their own child. It is important that everyone in your organisation knows the new requirement to keep their personal details up to date. To help inform everyone, we have drafted a story for you to share with your staff who have a Check. Please be aware that employers (which include organisations using volunteers to work with children) can now be fined if they don’t verify that their workers or volunteers have a Check or have applied for one. One of the strengths of the NSW system is that it is underpinned by an ongoing, continuous check. By registering and verifying, employers can be contacted by the Office of the Children’s Guardian should anyone become barred through the continuous monitoring process. Fines for not verifying will apply to every organisation where people work with kids or volunteer with kids. People need to have a Check if they are in child-related work. Changes to the legislation clarify that child-related work is when contact with children is a usual part of the work, and not just incidental. There are some exceptions, so check out the Office of the Children’s Guardian’s website if you’re unsure whether you or your employees need a Check. Finally, all parent volunteers on kids’ overnight camps with their child now need a Check which means whoever is the camp organiser, also needs to verify them. The Working With Children Check legally prevents people who pose a risk from working with children but it’s not enough on its own. Organisations, through their people, need to build a child safe culture with policies and procedures in place to make their organisation safe for kids. For more information check our website where there is a list of all of the legislative changes with explanations of what each change means and you can also find resources for building a child-safe environment. Office of Sport launches child safe sport videos. for everyone involved in sport. child safety in leadership and culture. kids stay safe in sport. The Working With Children Check has been operating in NSW for nearly five years and some Working With Children (WWC) numbers will start to expire from 15 June 2018. Individuals with a WWC number that is about to expire will be able to submit a renewal application online within three months of their expiry date. A reminder email will be sent from the Office of the Children’s Guardian to applicants three months before their WWC number expires. You do not apply for a new Working With Children Check but simply renew, and your WWC number will be valid for another 5 years. Information on how to do this will be in the reminder email. If the Office of the Children’s Guardian doesn’t hold a person’s current email address, they won’t be able to email them. You should keep your contact details up to date so you can be alerted about your WWC renewals by going to www.kidsguardian.nsw.gov.au/check. We recommend employers review their own records for upcoming WWC expiry dates or ask their workers if they have renewed their WWC numbers. When the WWC number has been renewed it needs to be re-verified by the person’s employer or organisation. When an employer verifies they will receive a confirmation email. These emails help employers maintain workplace records for compliance. A person cannot continue to work or volunteer in a child-related role if they do not renew their WWC number and have it verified by the employer. It is an offence to work with children in NSW without a valid WWC clearance number or current application by the worker to the Office of the Children’s Guardian for a clearance. For more information and downloadable resources about the Working With Children Check renewal go to www.kidsguardian.nsw.gov.au/check/renew. Check your expiry date, either through your email records or by retrieving it online. If your contact details are up to date, you will also receive an email from the Office of the Children’s Guardian which contains a link to the online renewal form. After completing the online renewal form you receive a second email with a reference number. You take the reference number to a Service NSW centre or motor registry and pay the renewal fee (if a fee is required). You are sent a third email confirming a new expiry date for your WWC number. You provide your employer with your WWC number and the new expiry date so it can be verified and the new date recorded by the employer. The NSW Sporting Sector is currently being phased-in to the Working with Children Check system from 1 April 2015.The phase-in deadline for this sector is 31 March 2016. 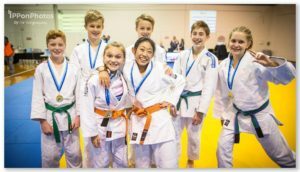 Judo NSW Clubs (including Coaches and other Workers and Volunteers involved with Children) have obligations and actions that need to completed to ensure compliance with the current legislation and continued operation as a registered club with Judo NSW. Judo NSW has developed a simple matrix to assist with this process. The key is whether your club is a ‘legal entity’ and who is responsible for the appointment (employed &/or volunteer basis) of coaches and other resources working with children. The PCYC/RSL/Uni etc should register as the Employer Organisation. Note – Current advice from the OCG is that it is ‘optional’ for judo clubs operating as registered businesses or as part of ‘parent’ organisations to also provide employee and volunteer child related coaches and other resources WWCC Clearance Letters to Judo NSW for verification. These organisations retain responsibility to register as Employer Organisations and to complete and verify checks for their child related employees and volunteers. Specifically, you will need to register and undertake a Working With Children Check before 31 March 2016. This will involve online registration and then attendance at a NSW Service Centre with ID to complete the process. You will then need to provide/email your WWCC registration number to your Employer Organisation and or our Judo NSW Member Protection Information Officer so we can link your clearance to Judo NSW. You can also contact Kevin Lewis – Judo NSW Member Protection Information Officer via email memberprotection@judonsw.com.au or 0414 906 591.